Low pay can affect members financially and emotionally. Low pay may mean that a member cannot afford to buy important things for themself or their family. Living on low pay can lead people into debt and feelings of low self-esteem. The government’s department of work and pensions defines low pay as any family earning less than 60% of the national median pay. On this basis, there are more than 13 million people in the UK living in low-income households. Low pay has also been defined in relation to the cost of living by the Minimum Income Standard Project. By their calculations, anything less than £15,000 a year, before tax, counts as low pay. This equals £7.77 per hour in a standard full-time job. 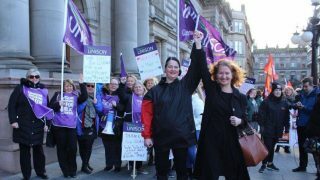 UNISON offers practical advice and campaigns for members to receive a liveable wage as a minimum, as well as bargaining and negotiating with individual employers to improve wages. UNISON is also campaigning to increase childcare facilities, because high childcare costs often cause household poverty. Workers earning low pay may have to make sacrifices for their family and in many instances low pay leads to children living in poverty. If you would like to get involved with low pay campaigning, contact your UNISON rep for information on activities and action on low pay. The UK government has set a goal to eradicate child poverty by 2020, but this is focused on out-of-work poverty – situations where both parents are out of work – and many low-income households are in-work. 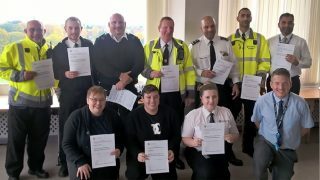 In many cases UNISON can help if you are not being given training to give you the opportunity to increase your wage, and make sure that you are paid the correct amount. UNISON can also help identify benefits financial support or tax breaks that may be right for you. Apprentice – £3.50 an hour (under 19 or in their first year of an apprenticeship). If you are not being paid a minimum wage, contact your local UNISON rep, who will make sure you get paid the correct amount. Even if you sign a contract agreeing to an amount lower than the national minimum wage, you are still entitled to it and your contract is void. There are some instances where you may not be entitled to national minimum wage. Prison workers, for example, or au pairs are not entitled to the national minimum wage. I am not earning enough to pay for my basic needs. What can I do? You may be entitled to benefits or financial support from the government or local authority. Contact your UNISON rep, who will be able to advise you further. Find out how to contact your rep.
Help may also be available through discretionary grants from UNISON’s welfare charity, There for you. The minimum wage is not enough for me and my family to live on. What can I do? 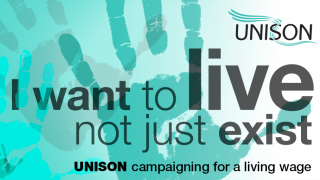 First off, get involved with UNISON’s campaign for a living wage. Our first priority is improving wages for our members – but we can only win our campaigns with the strength of our members. There are also government initiatives to help people. Contact your UNISON rep, who will be able to advise you further. How can I improve my chances of higher pay? UNISON’s main priority is improving pay and conditions for our members. That is the essence of being a trade union. Average earnings are at least 8% higher in unionised workplaces. We do this through campaigns like our Living Wage campaign and through bargaining and negotiating with employers. And whether we’re campaigning or bargaining, we have more chance of success when there are more of us in the union, and more of us speaking out. So recruiting more of your colleagues to the union could help improve your pay. 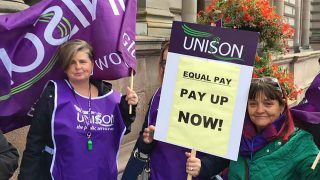 To find out more about pay rises in your workplace, contact your UNISON branch . Training is another way that individuals can take steps to improve their pay. 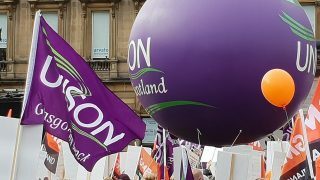 UNISON is a very active union in providing training for members and helping them improve their qualifications. There are many ways to gain access to training. Your UNISON rep will have information specific to your area, especially if you have a union learning rep in your workplace or branch. Find out more about UNISON learning. My wages are lower than the other people I work with who do the same job, what can I do? You are entitled to equality in the workplace. This includes being paid the same amount as someone doing the same or similar work as you.